CRAPTASTIC: 2012 Highlights - Happy New Year! I hope you all had a Merry Christmas! It's so hard to believe that we are almost ready for 2013! This year I did not do nearly as many DIY Christmas gifts as I did last year. I had intended to do much more, but due to horrible planning I had to go with more store bought gifts. One DIY gift I did get to do were these adorable glitter wine glasses! I followed the tutorial from Inspire Design and Create! I made these for Christmas at Mom's house so everyone could tell which glass was their's! Mine is the hot pink one! I bought the glasses at The Dollar Tree and use Martha Stewart glitter (used my 50% off coupon)! 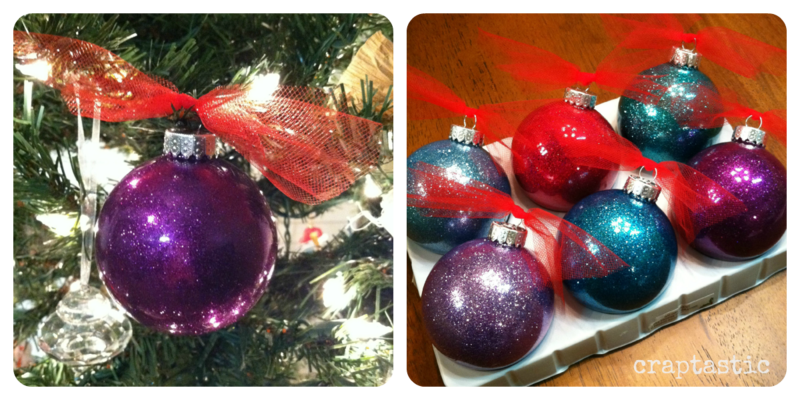 I also followed the many tutorials online to make some glitter ornaments! I made these for our dirty ornament swap at work, then I made some to attach to all my presents. 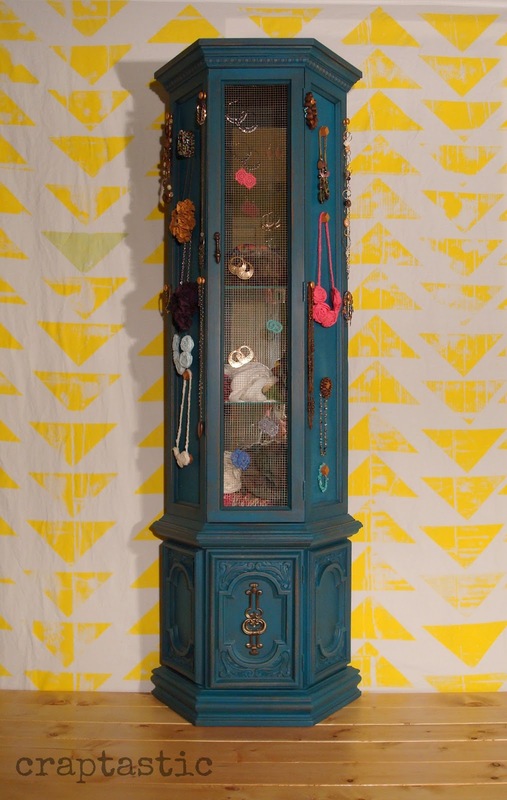 What type of DIY items did you make this Christmas?? Now I have a list of my ten favorite (not necessarily most popular) posts of 2012! You stole that button idea right out of my head!